How can I add branches to my questions? 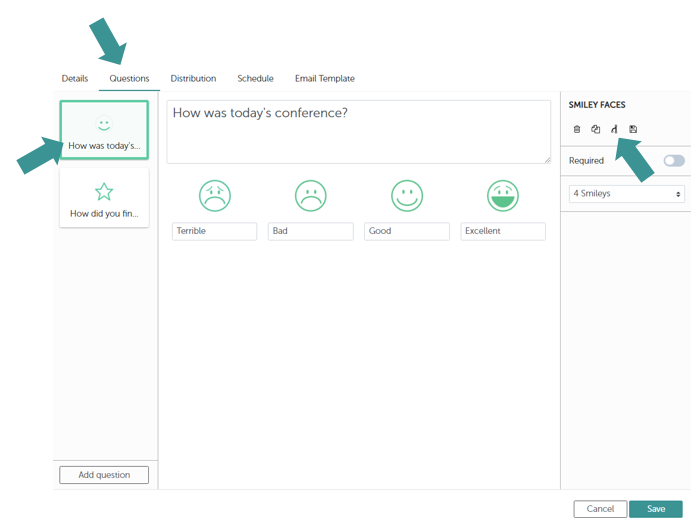 Branches (or conditions) are used to adapt the questions appearing in your survey depending on which answers employees select. Select which answer you would like to add the branch to. 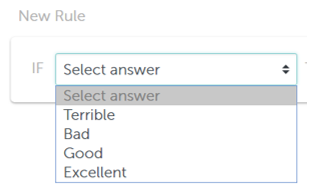 For example, if the worst answer is selected, you might like to ask what could be improved in a follow up question. 3. If necessary (depending on which action you chose in step 2), choose which follow up question should be used as a result of the branch. PLEASE NOTE: This question must already have been entered. 4. To save the branch, click on "Add". The branch will be listed below. In the overview of all questions, you will see this symbol appear if conditions have been added to a question.